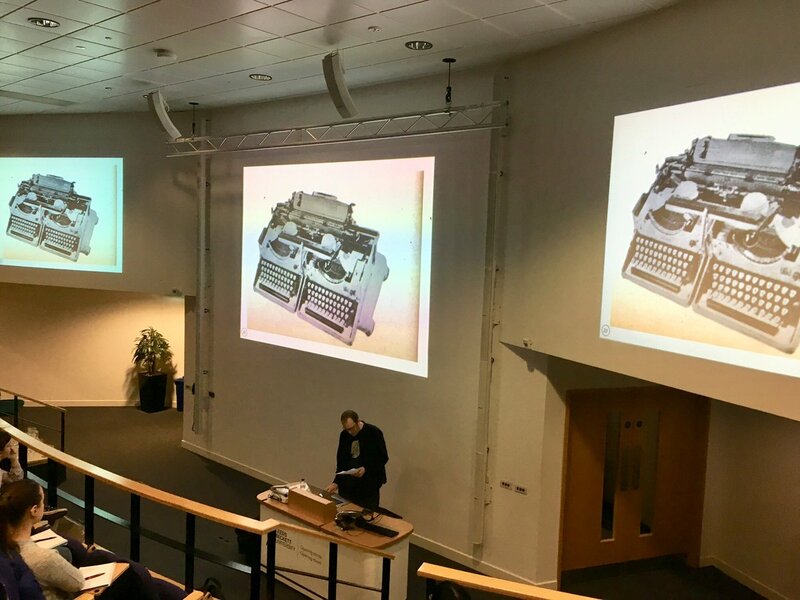 Tullett, Barrie (2017) Typewriter fonts, the typographic Dante [lecture] Book arts [workshop]. In: Broadcast Visiting Lecture Series, October 2017, Leeds Beckett University. Lecture on Typewriter Fonts, The Typographic Dante and a Book Arts Workshop at Leeds Beckett University – part of their 'Broadcast Visiting Lecture Series'.